Making extra cash online is so easy to do nowadays. There are many ways to earn here and there, the best thing to do, however, is to find things that you enjoy or are easy for you to keep up with. 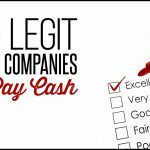 Once you find the right extra cash gigs, then you start earning money easily- after time that money can really add up and help pay for special events or possibly get you out of a short financial bind. 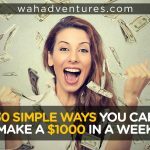 I’ve chatted with the other writers here at WAHAdventures and we have compiled a list of our top places to earn extra cash online or with our smartphones. Slice The Pie (review) is personally my favorite way to make extra cash online. You can make money by listening to and reviewing music. I try to login about once a month and review for a while, usually something to do when I’m bored. I’ve made a substantial amount of money reviewing songs at Slice The Pie, but it is certainly only an extra cash gig- not a job. 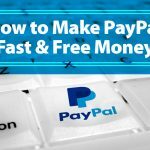 Once you have $10 in your account, you can cash it out to PayPal anytime. I generally receive my money within a day or two of requesting it. SavingStar connects to your loyalty accounts at your local grocery and convenience stores, you know those little cards on your keychain? You can browse the coupons, which are released weekly, and rather than having to clip or print coupons, you load them onto your loyalty card and SavingStar reimburses you the amount. It’s a great way to build up some savings and cash out for special reasons or when you are in a crunch for some extra cash. There is a variety of ways to earn money at Swagbucks, from taking polls, quizzes to watching Videos or shopping through their site. You can even earn by using their search engine. Every activity earns you a number of what they call Swagbucks. You can then turn those bucks into rewards or online gift cards. I have a regular routine of doing particular things each day to build up my bucks, which I always exchange for Amazon money. Walmart has a smartphone app called the Savings Catcher that allows you to quickly scan in your Walmart shopping receipts. Then, it automatically compares the items you bought with the stores in your area, giving you the difference if prices are cheaper somewhere else! The money really adds up quickly and is easy to cash out. In a matter of three months I earned $46 using the Savings Catcher app. Ibotta is a popular smartphone app that helps you earn money back on items you buy or even going to the movie theater. After you buy qualifying products, you scan the receipt into the smartphone app and the savings are automatically added to your account. Once you have $5 saved, you can request a PayPal deposit, which generally happens right away. Check Out 51 is another way to save at the grocery store. Weekly deals are released through the Check Out 51 smart phone app, which allows you to choose the items with deals that you plan to buy. After you purchase those items, you scan your receipt into the app and they credit you for the deals. Once you reach $20 in savings, a check will be mailed to you. I use Pact to make a little extra money and keep myself accountable with my food choices. Pact is a smartphone app that allows you to make a weekly pact of eating healthier or exercising. If you do not follow through with your pact, then you have to pay the amount of money you chose. If you stick to your healthy choices, then you earn money from the members who did not. Field Agent is another smartphone app, specifically for iPhone users. 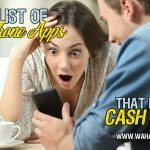 Once installed you can find local tasks to complete for cash. Depending on your area and the number of people using Field Agent, there is potential for a substantial amount of extra cash. Personally, I like when they pay to go into a store and take a picture of a display or a product. It’s quick, easy and feels like free money. In recent months I have found myself doing a lot of online shopping. Even for clothes, which is something I never thought I would do. But with the deals I can find when I take a moment to look around the web for the best prices, it is worth the possible hassle of returning an item if it doesn’t fit. Ebates is one of the reasons it pays to shop online. 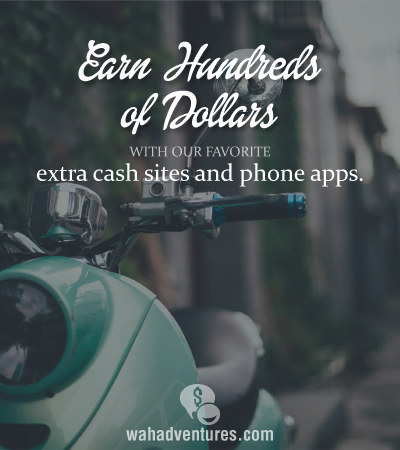 If you shop through their site, Ebates earns money as a referral fee, which they split with you! Qmee is an extension you can add to your browser (firefox, chrome, internet explorer etc). While doing online searches as you normally would, you may occasionally see an ad appear on the side of the screen from Qmee. When you see the small ads, you can click on them to earn money- instantly to your PayPal. 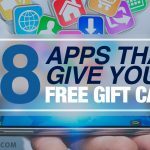 These apps seem to be good but most of them aren’t really functional in under-developed countries. They work best in US. 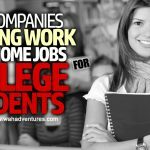 I was looking at another website http://www.webemployed.com. They share some sources that are globally accepted.